The Mohs Hardness Scale was created by Friedrich Mohs, a mineralogist, in the early 1800s, and it is a measure of how resistant a mineral is to scratching. Soon after its creation, the scale was used to classify durable gemstones - but if you are searching for a long lasting gemstone that can withstand plenty of wear, keep in mind that the Mohs Scale of Mineral Hardness is just one part of gemstone durability. 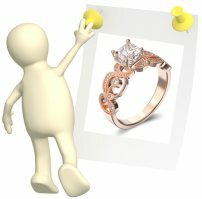 To find out more about Friedrich Mohs' creation, and how it can be used (with other gemstone properties) to find a durable gemstone for gemstone engagement rings - or other pieces of gemstone jewelry you would like to wear frequently - take a look at the helpful info below. Fun Fast Facts About the Mohs Hardness Scale! The Mohs Hardness Scale is not a linear scale - and it only measures resistance to scratching. This scale measures the surface hardness of minerals. Metals are measured with the "Vickers" scale of hardness. Many characteristics contribute to gemstone durability - the Mohs Hardness value by itself does not tell the whole story. And if you have any questions about gemstone hardness or the Mohs Hardness Scale, just use the handy comment box at the end of the page! How does the Mohs Scale work? This scale is based on resistance to scratching - that is the only characteristic that is used to measure and place gemstones on the scale. According to the scale, a gemstone can only be scratched by another gemstone (or mineral) which has a higher rating. For example, corundum can be scratched by a diamond and topaz can be scratched by corundum and diamond. It is important to note as well that this scale is not linear, meaning that a diamond is not 10 times harder than talc, it is only a measure of resistance to surface scratching. A gemstone's exact place on the scale will depend on which gemstones can or cannot scratch it. Take tourmaline for instance - with an average Mohs rating of 7.5 we can see that a tourmaline cannot be scratched by quartz but can be scratched by topaz. While the Mohs Scale of Hardness is a good indicator of surface durability, it can be misleading when it comes to a gemstone's overall durability. For example, the emerald has a Mohs rating of 8.0, but it does not wear as well as topaz - which also has a Mohs rating of 8.0 - because of inner inclusions which are so prevalent in emerald gemstones. 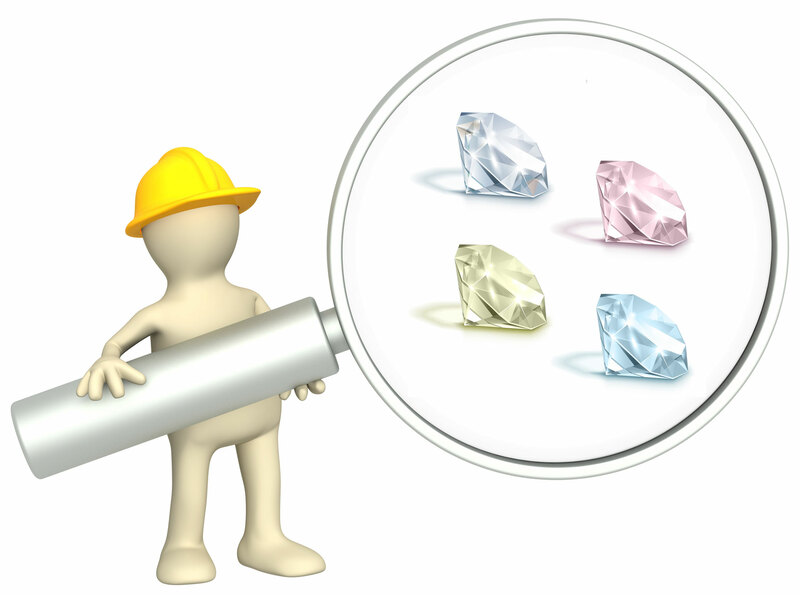 So what types of extra characteristics are used to assess how durable a gemstone really is? 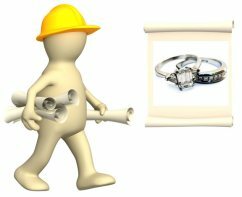 Additional properties and characteristics which are important to determining the durability of gemstone - and how well that gemstone will hold up to wear - include cleavage, molecular bonds, stability and treatments or enhancements a gemstone has received. All of these factors together, including a gemstone's rating on the Mohs Hardness Scale, will provide a clear picture of how durable the gemstone really is. 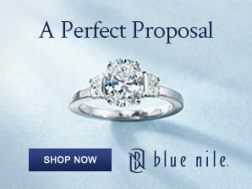 Cleavage is a gemstone's ability to break cleanly along a distinct line - based on the gemstone's crystalline structure. Gemstones can have perfect, excellent, distinct, good or poor cleavage - and some gemstones do not have any cleavage at all. For instance, diamonds have perfect cleavage - this means that a diamond can be split with a perfect clean break by one blow if it is hit in a specific area. And so even though a diamond is one of the hardness gemstone's on earth, it can be broken by a softer material if it is hit in the right place and with a hard blow. Cleavage is a special concern when a gemstone is being cut or polished, and if you have your gemstone cut or polished by someone who is not experienced with the cleavage characteristics of the gemstone, it could be ruined even if it is high up on the Mohs Hardness Scale. 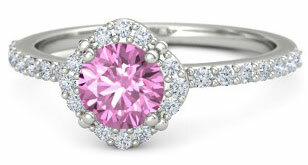 The characteristic of cleavage is one example of how a gemstone can be hard but not necessarily durable. (As an example, the surface of glass is extremely hard when compared to wood - but a piece of wood can be dropped and it won't break or shatter like a piece of glass). The molecular bonds or crystalline structure within a gemstone will also affect a gemstone's durability. 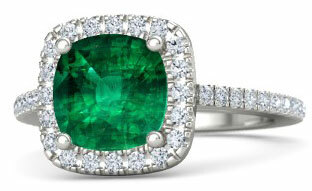 As mentioned above, emeralds have a hardness rating up to 8.0 but their overall durability is poor to good because the stones often have cracks and fissures and can easily chip - while jade has 7.0 rating on the Mohs Hardness Scale but an excellent durability rating due to its amazingly strong structure and molecular bonds which withstand chipping, fractures, and even hard blows. A gemstone's stability depends on how well the gemstone holds up to environmental influences such as heat, sunlight, temperature and chemicals. Some gemstones, such as unheated amethyst, can lose their natural color if they are exposed to sunlight or heat - and opals are very sensitive to temperature changes and can crack if they are exposed to sudden and severe changes in temperature. Other gemstones lose their durability when they have been treated with an enhancement - for example, rubies (which have a hardness rating of 9.0) that have been dyed with colored oils have a very poor stability rating and will quickly lose their brilliant color. 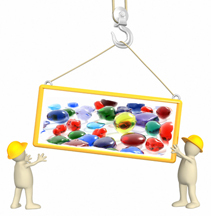 Many types of gemstones are commonly enhanced or treated to improve their color or integrity. 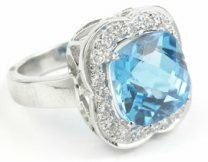 Heat treatment is one of the most common types of gemstone treatments used to enhance and even change the color of some gemstones. But it is important to keep in mind that some enhancements have an excellent stability rating - while others have a very poor stability rating. 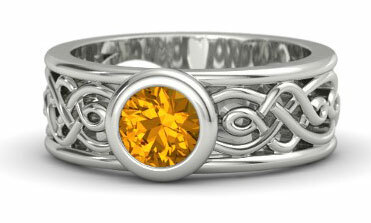 And different types of gemstones will react differently to types of treatments. For instance, irradiation is used on tourmalines to enhance their color and has an excellent stability rating. 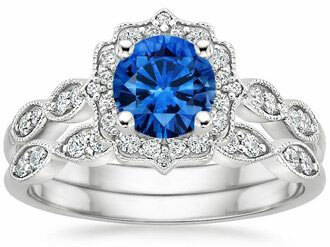 But, when irradiation is used on sapphires the stability for this treatment is extremely poor and will not last. 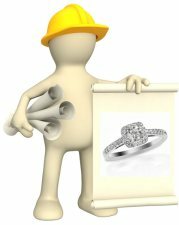 To find the perfect gemstone for your gemstone engagement ring, or to zero in on a gemstone with extra durable characteristics, it is a good idea to start with the Moh's Hardness Scale and then go from there. 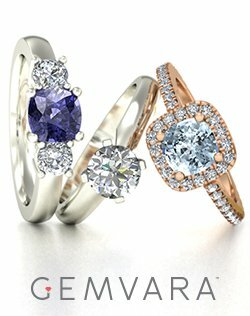 EWR's Gemstone Engagement Rings page too has all of the properties and characteristics of gemstones which can hold up to every day wear - including common treatments, the stability of those treatments, special care notes and price guidelines. 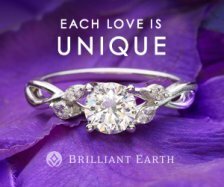 For most gemstone wedding rings or engagement rings, it is best to choose gemstones with a rating of at least 7.0 or above on the Mohs Hardness Scale. As quartz - with a hardness rating of 7.0 - is one of the most abundant minerals on earth (small pieces are even found in household dust), gemstones with a rating of less than 7.0 can become scratched through average daily wear. While there are a few exceptions to this rule, (such as the pearl with a hardness rating of 3.5 - 4.0) this is a good guideline to start out with. Next, get to know the gemstone hardness characteristics of the type of stone you are interested in. Is this a stone which often has a high amount of clarity and a low amount of inclusions, or is the stone frequently found in nature with a large amount of inclusions? Is the stone prone to chipping and cracking? 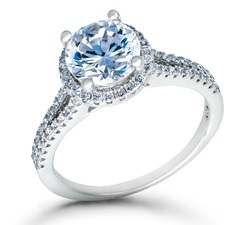 Does the stone have sensitivities to temperature changes? 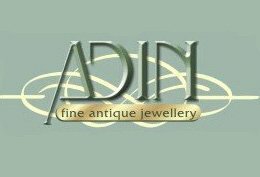 Last but not least, make sure the gemstone you choose has a decent clarity rating, a low amount of inner inclusions (which includes fractures and fissures) and check to see if the gemstone has received any type of treatments or enhancements which could affect its performance. 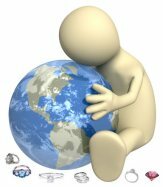 If you are unsure of the quality of the gemstone you have purchased, a local certified gemologist/appraiser can examine the stone. 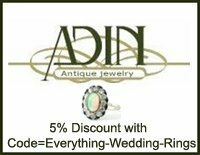 EWR highly recommends using the services of a gemologist who has been certified by a reputable company - like the American Gem Society (AGS). 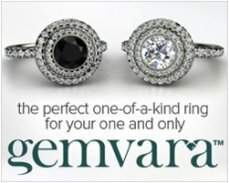 You can find out more about Gemstone Appraisal here! 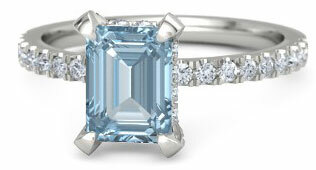 For a gemstone engagement ring, the setting can also play a huge part in how the gemstone performs overtime. In most cases, gemstones hold up better to daily wear in protective, low mounts, which cradle and hug the gemstones and ensure all corners are completely protected. 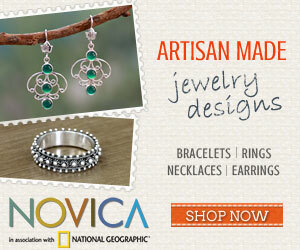 High quality settings made with durable metals like platinum, palladium and 18k gold are also best for gemstone rings. 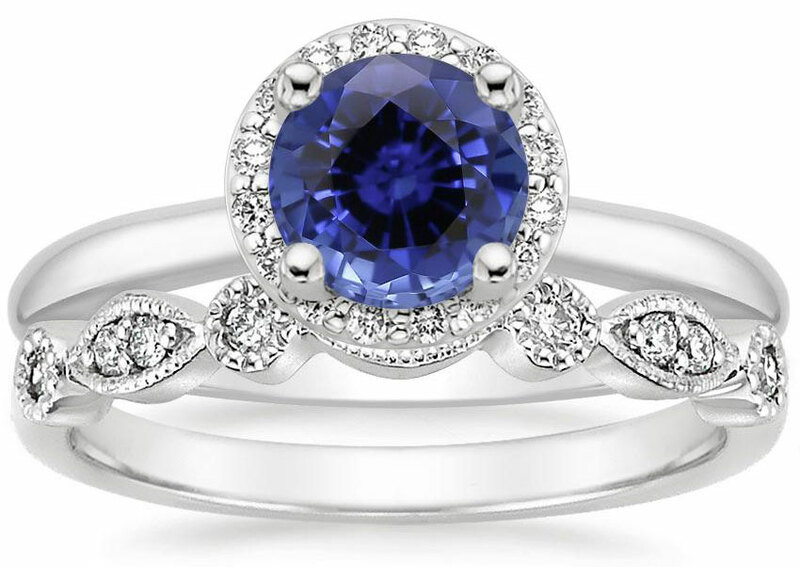 And if you have fallen in love with a type of gemstone that does not have an extremely high durability rating, familiarize yourself with special care and cleaning recommendations to maintain the gemstone in excellent condition for many years to come. Do you have comments or questions about gemstone durability and the Moh's Hardness Scale? Send in your questions and comments about gemstone durability here, and I will post answers to your questions as soon as possible! 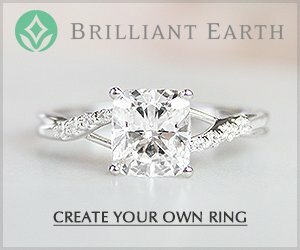 Top Gemstone Wedding Ring Picks!